Capacity for innovation and technical competitiveness are decisive factors to achieve success in an increasingly complex and dynamic environment. By means of our engineering services, we provide solutions to reach a faster production, with lower costs and in a more flexible and effective way. At the same time, we guarantee homogeneous reliability and quality under international standards. It is our main priority to encourage the fulfillment of productive processes with greater energy efficiency, a reasonable ecological impact, an alteration in the paradigm of valuation and hierarchical organization of human resources, assets and staff safety, productive resources sustainability, and industrial data maximum connectivity. Connectivity of industrial information results in faster and better decision processes, and optimized management of plants thanks to an uninterrupted information flow without loss of data during the entire cycle. There has never been a more exciting time for industrial automation than the present, thanks to all the unprecedented possibilities brought to us by the Industrial Internet of Things (IIOT), cloud computing/cloud data developments, augmented reality and the fascinating Industry 4.0. 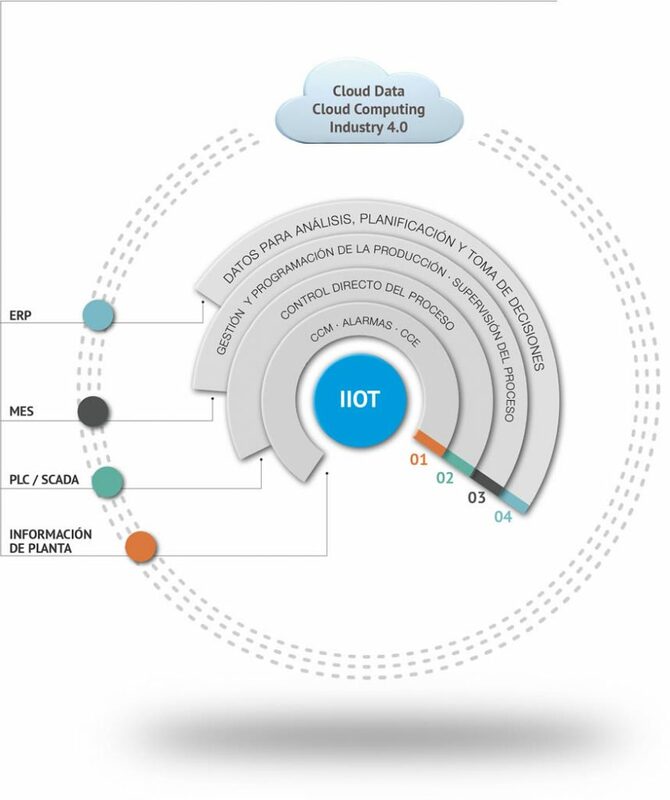 The Industrial Internet of Things (IIOT), taken as an evolution of the Smart Manufacturing Enterprise, consists of the capability to link automation systems with business planning systems, programming and the life cycle of products. The challenge is successfully apply that link to the company’s value chain in order to enable a major business control. Increase of productivity, flexibility and efficiency. Recycling of information for uninterrupted optimization of production. Open system architecture that allows unlimited access to updated data and information at any time from anywhere in the world. Time and costs saving through coherent data management. Faster and more effective decision processes. Our services of automation engineering provide solutions prepared for the future, and ready to answer even more demanding requests from the plant, machines and processes. Contact us to know about previous works or for more information.